Hayyim Lenski (1905 - ?) was born in Slonim, Grodno, Russia. He spent his childhood and early youth in his grandfather's home in the town of Derechin. In late 1921, he left to study at the Hebrew Teachers' Seminar in Vilnius, where he published his first poems in a student magazine. In 1925 he went to Moscow and Leningrad, working in the Amal factory founded by the He-Halutz Zionist movement. In Moscow he continued to write poetry, which he forwarded to literary periodicals in Eretz Israel. Bialik warmly encouraged his writing. Lenski was arrested at the end of 1934 for writing in Hebrew and after being detained in Leningrad for a few months, he was sentenced to five years' in prison with hard labor in Siberia. His poems, however, continued to reach Eretz Israel. While in a labor camp near Mrinsk, he appealed to Russian writer Maxim Gorki to intercede on his behalf ("I am a poet and my only crime is that my poems were written in Hebrew"), but it is doubtful whether the plea ever reached Gorki. In 1937 Lenski was transferred to the forced labor camp of Gornaya Shoriya, near the Soviet-Mongolian border. From that time on, his poems no longer reached Eretz Israel. In 1939 or 1940, having served his term, he returned to Leningrad. 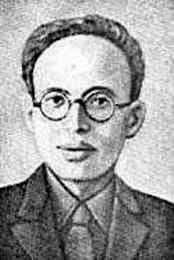 Soon after, he was again arrested and sent to the Malaya Vyshera prison camp near Leningrad. From there he was probably sent back to Siberia, where he died. At the end of 1958, a number of manuscripts, including a nearly complete collection of his lyrical poems, copied out in the poet's fine handwriting and ready for publication, reached Israel. His poems were published in Israel in 1960.